This guide will show you where to find the Bird Shape (wooden statuette) that's required to open the secret passage in the projector room. 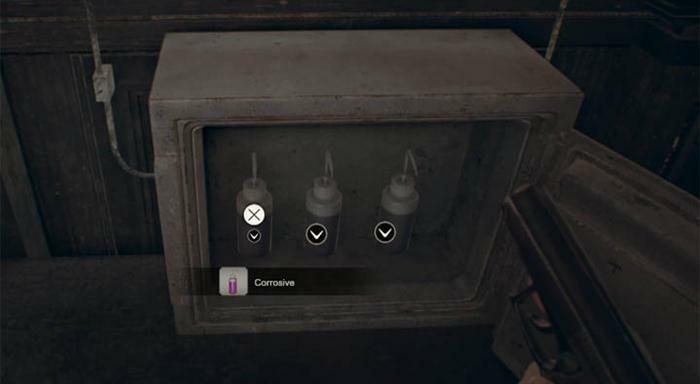 This elusive object is important in helping you find the three Dogs Heads and solving one of the larger puzzles in Resident Evil 7. 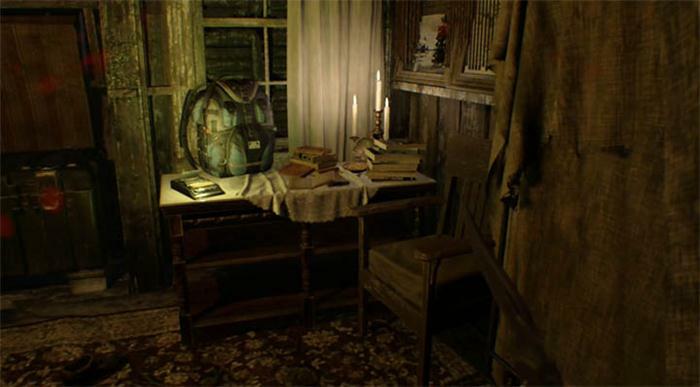 By now you will have made your way through the main house and have escaped from Jack in the garage. The Ox Statuette was found and you used it to open the mysterious door leading into the Main Hall area. Once inside the Main Hall you had the Shotgun room to your right, the Dog Heads door to your left and the projector room straight in front of you. Inside the projector room there is a bright light shining away from the projector and onto the wall, where a picture of a dog is snarling at a shape which appears to be an eagle or some kind of a bird. Interacting with the little stand in between the projector and the painting allows you to place one of your inventory items. So we're looking for this elusive bird shape so we can solve the projector room puzzle, it's not too difficult but can easily be missed. 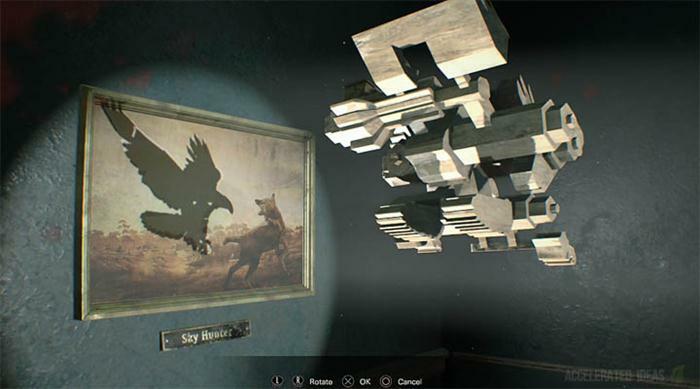 Infact this puzzle item isn't even a bird but is something shaped like a bird and once rotated will fill the missing gap in the painting. 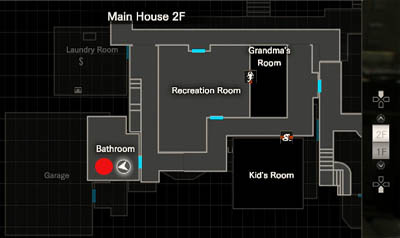 The key to finding the item is to make your way upstairs from the Main Hall, take a left turn and head towards the recreational room where you watch the video tape of Mia escaping from the old lady. Slightly beyond this room is a bathroom with some black sludge all over the place. Take note of the bath in the middle of the room. Face towards the baths plughole and the interact symbol/icon should appear on screen. Press X (on PS4) to drain the bath of the black fluid, revealing a wooden carving type thing. This is the missing bird sculpture that we need. Now head back to the projector room, interact with the little stand and select the bird sculpture from your inventory. Carefully rotate the object so it matches the silhouette exactly and then press X to confirm. The secret passage should open up, allowing you to continue your search for the three dogs heads.